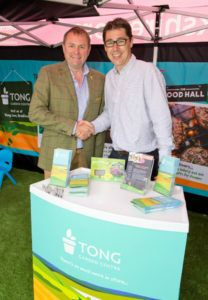 The team at Tong Garden Centre has renewed its partnership with Welcome to Yorkshire’s Y30 group of Yorkshire-based businesses who work with the UK’s leading tourism agency to achieve more together for the county. Mark Farnsworth said: “We’re very proud of our Yorkshire roots and to be associated with Y30. This group of businesses are ambitious, innovative and share Tong’s passion for championing Yorkshire.